Geoff and his wife Melinda came to us from the Austin, Texas area, where they had been involved in youth ministry and outreach over the previous fourteen years. 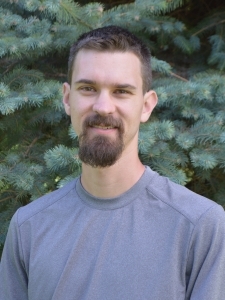 He received Bible and missions training from the AIM program in Lubbock, Texas, and spent close to two years working with the mission efforts in Quito, Ecuador. Upon returning to the U.S., a passion for God’s word led Geoff to study at the Sunset International Bible Institute in Lubbock, Texas. Brad and his family moved to Fort Collins in 2014 after several years of youth ministry to teens in Baytown, TX and Grapevine, TX. He received a BA in Youth and Family Ministry from Lubbock Christian University. Brad's wife, Taryn received her BA in Elementary Education. They have three adorable kids, Brynlee, Brielle, and Brock.